Muhammad Ali (born Cassius Marcellus Clay Jr.; January 17, 1942) is a retired American boxer and three-time World Heavyweight Champion, who is widely considered one of the greatest heavyweight championship boxers of all time. 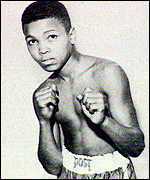 As an amateur, he won a gold medal in the light heavyweight division at the 1960 Summer Olympics in Rome. After turning professional, he went on to become the first boxer to win the lineal heavyweight championship three times. Originally known as Cassius Clay, Ali changed his name after joining the Nation of Islam in 1964, subsequently converting to Sunni Islam in 1975. In 1967, Ali refused to be inducted into the U.S. military based on his religious beliefs and opposition to the Vietnam War. He was arrested and found guilty on draft evasion charges, stripped of his boxing title, and his boxing license was suspended. He was not imprisoned, but did not fight again for nearly four years while his appeal worked its way up to the U.S. Supreme Court, where it was successful. Nicknamed 'The Greatest', Ali was involved in several historic boxing matches. Notable among these are three with rival Joe Frazier and one with George Foreman, whom he beat by knockout to win the world heavyweight title for the second time. He suffered only five losses (four decisions and one TKO by retirement from the bout) with no draws in his career, while amassing 56 wins (37 knockouts and 19 decisions). Ali was well known for his unorthodox fighting style, which he described as "float like a butterfly, sting like a bee", and employing techniques such as the rope-a-dope. He was also known for his pre-match hype, where he would 'trash talk' opponents on television and in person some time before the match, often with rhymes. These personality quips, idioms along with an unorthodox fighting technique made him a cultural icon. In later life, Ali developed Parkinson's disease due to the injuries he sustained throughout his career. In 1999, Ali was crowned "Sportsman of the Century" by Sports Illustrated and "Sports Personality of the Century" by the BBC. Cassius Marcellus Clay Jr., was named after his father. (Cassius Marcellus Clay Sr.) Born in Louisville, Kentucky, he had his first tryst with boxing at a very early age! His father painted billboards to earn money. 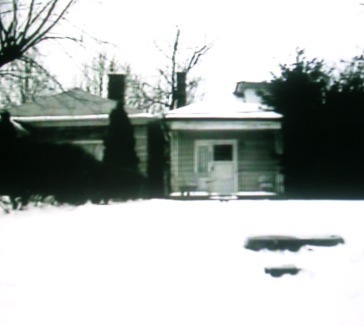 His mother, Odessa Grady Clay, was a housewife. The success story of Muhammad Ali began with a simple incident. In 1954, when Ali was only 12 years old, his bike was stolen when he was with a friend at the Columbia auditorium. Boiling with rage, young Cassius encountered Joe Martin, a police officer. It was Martin who first advised him to learn boxing before he thought about fighting with anybody for revenge! This was the time when Clay began training with Fred Stoner. With Stoner’s training, Clay then won six Kentucky Golden Gloves title and many more medals. Young Cassius thus began dreaming about being a heavyweight champion at an early age. As a teenager, this boy completely dedicated himself to boxing. He practiced with unmatched fervor. His constant practice set him off from other boys. The talent and hard work is what helped him to bag all the medals even before he turned 18 years of age. With 100 wins in his amateur career, Cassius returned home to Louisville only to be shocked with unfair treatment. Cassius was refused service at a local restaurant despite all the extraordinary feats. 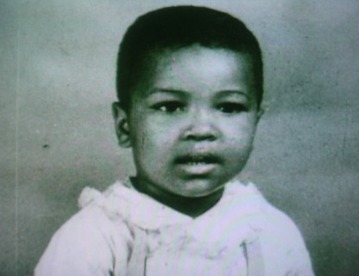 Muhammad Ali’s childhood was thus not an ordinary life. It was the beginning that laid the foundation of a success story to inspire many others that choose this path.